TCFSA basic skills series for 2015-2016. 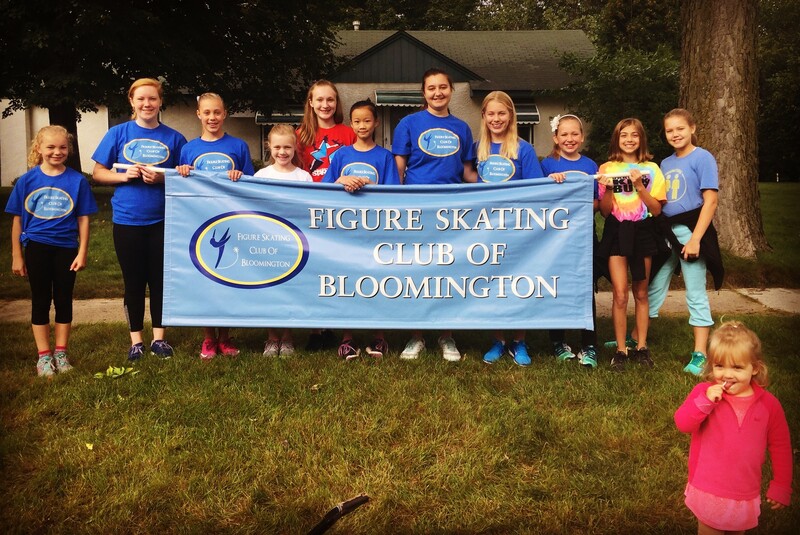 Out of 17 participating clubs, the FSC of Bloomington placed 12th with 40 points accumulated by 10 participating skaters. The following skaters were part of the series: Sophia Braun, Vivian Reiley, Taylor Thorman, Kailey Kahlow, Emily Sheldon, Emma Trudeau, Grace Menanga, Jaqueline Steskal, Maiya Warner, and Sarah Zimmerman. The top 4 skaters at each level receive a trophy and a certificate for their placement. 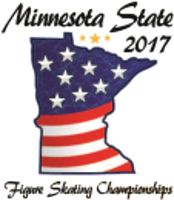 Trophies will be awarded on Saturday, August 27th at the 2017 Minnesota State Figure Skating Championships. The final standings are posted on the TCFSA website under the basic skills icon. 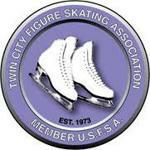 Congratulations to all FSC Bloomington Club members who competed at this years' Minnesota State Figure Skating Competition. What an amazing job you all did representing the FSC of Bloomington. Well done! Saturday, September 16, 2017. Parade Starts at 10:30. Meet at Kennedy High School at 10am. Ally Amundson, Hannah Butala, Keira Burch, Ellie Chaouch, Zoe Dreis, Madelyn Halloff, Mandy Kao, Logan Mahoney, Tatiana McKay, Stephanie Miesterling, Ellie Reissner, Jessica Robeck, Ava Roy, Abby Valladolid, Emma Voight, Alyssa Voit, Isabella Ward, Maggie Wells, Kaitlyn Wu. When: January 6th. Sign up with your friends to perform a holiday skate routine. Details: Each program max time is 2:30 minutes. You can perform or just come and watch your FSCB friends do their holiday program. Join us afterwards for our Annual Holiday Party and Gift Exchange. Note Location to change to Davanni's in Richfield. We will have our annual party at Davanni's at 6345 Penn Ave S, Richfield, MN 55423 immediately following the Jingle Skate performance. Cost for Pizza and soda is $7.00 you can pay at Davanni's. Parents, skaters and siblings are all welcome. Please sign up in club room to communicate number of people having pizza. If you would like to participate in the holiday gift exchange please bring a gift valued at no more than $15.00. Please Sign up for Jingle Skate and Holiday Party in Club Room. The Figure Skating Club of Bloomington is proud to announce that the following skaters will be competing at the 2017 Upper Great Lakes Regional Figure Skating Championship to be held in Rochester, MN October 19th-23rd. See link for details on events and times. Good Luck to all skaters! We wish you all the best! Ava Roy, Paige Koopmeiners, Colton Johnson, Olivia Slack, Krisalyn Cook, Kaelin Sweet, Tatiana Mckay, Keira Burch, Zoe Dreis, Elizabeth Hogshire , Logan Mahoney, Kaitlyn Wu, Linnea Seline, Madelyn Halloff, Ellie Chaough, Haley Jostes, Victoria Taylor, Brianna Parker, Maria Goulakova, Jessica Robeck, Nila Cooper, Emma Enebak and Julia Hussian. Good luck to FSCB skaters Logan Mahoney, Keira Burch, Abby Valladolid and Madely Halloff who will be competing at the 2017 Braemar Figure Skating Competition this weekend! Have Fun, Skate BIG! Bloomington was the runner-up winner in the Kraft Hockeyville USA 2017 national contest. The Bloomington Ice Garden (BIG) will receive $75,000 for rink improvements. Congratulations Zoe Dreis on Passing your Senior Moves in the Field. Jessica is now a USFSA Gold Medalist! Colton Johnson to compete in Salt Lake City, UT. 2015 "Fun in the Sun" Competition on June 6! Send your news and photos to the Website Manager. Thank you to all our skaters and families who came out to march in the Bloomington Heritage Days Parade! It was a great time! Anyone can learn to skate! Emily Eneberg, one of the hosts of Twin Cities Live, came to interview our very own Rene Gelecinskyj, and had a lesson with her!